What is the IMDbPro Card? As an IMDbPro member you can use this feature to share your profile and promote yourself on social media. 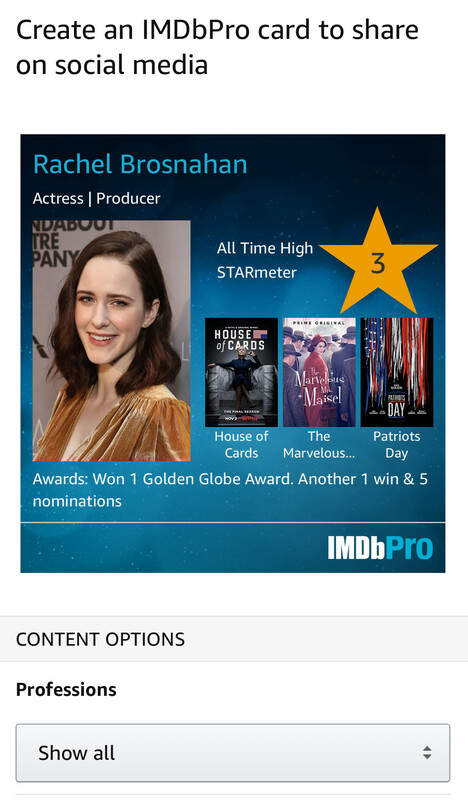 Use the card to showcase your profile image, STARmeter rank, first three Known For titles and awards. You can also share any other person's profile and with the latest update, you can create an IMDbPro card using the IMDbPro app or the desktop version of IMDbPro. 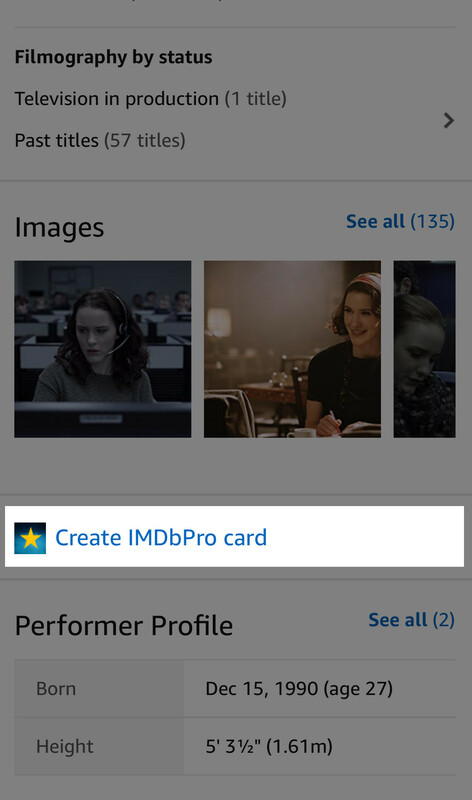 How do I create an IMDbPro card via the app? What options can I select? Profession: "Show all", "Primary", "Latest", "None". STARmeter: "All time high", "Current" or "None". Share link: Click the "Copy link" button to copy the link. Save image: By clicking the "Create IMDbPro card" button, you can save a .PNG image of the card. How do I generate the card image? 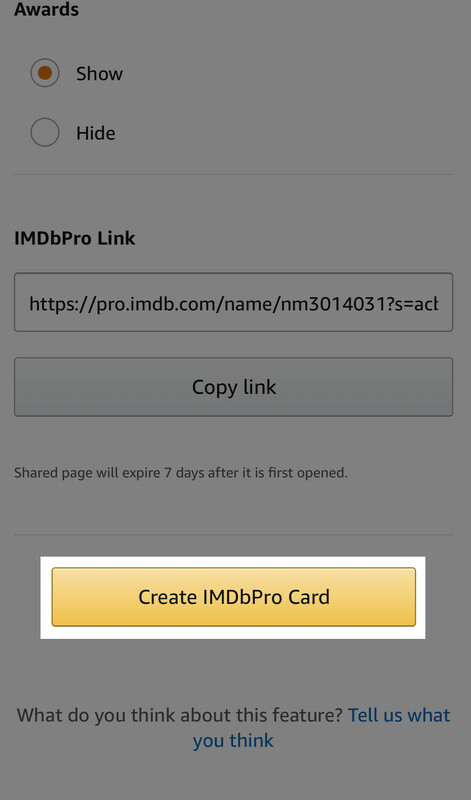 Scroll down to find the "Create IMDbPro card" button. Your card will be available in the Photos app on your device.